We are absolutely obsessed with the beaches of the Bulgarian Riviera, and none of these are as high on our list for summer beach spots as Sunny Beach and Nessebar. Situated just a short drive apart, you can (and should) easily combine these two beach towns on your Bulgarian beach vacation. And no summer vacay is complete without a few fabulous photos to remember your trip by. Here are our recommendations for the most Instagrammable places in Sunny Beach and Nessebar, plus a few can’t-miss spots nearby. Sunny Beach is almost more of a feeling than a place, but while you’re here you should make sure to hit up some of the iconic activities that make any Sunny Beach vacation complete, from the beach bars to the water sports. 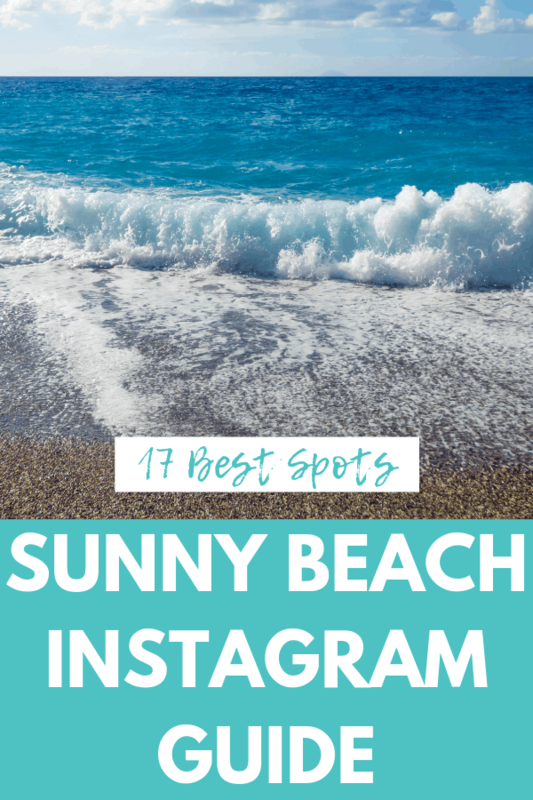 Here are our favorite Instagram spots in Sunny Beach to snap while you’re here. If you’re in Sunny Beach when five o’clock rolls around (or maybe 1 pm) you know you want to hit up one of the relaxed and downright groovy beach bars. I have my personal faves (my lips are sealed), but if you want one that’s extra Instagrammable then find the kitschiest, tiki-est beach bar you can. Bonus points for ordering a drink in a coconut. Khan’s Tent is a crazy restaurant with a floor show, where you have to book reservations a few days in advance. It’s a seriously nuts experience in and of itself, but it’s also situated above Sunny Beach so you get this absolutely incredible view of the coast. To eat at the restaurant and enjoy the show, you need to book tickets with one of the local agencies at least a few days in advance. However, if you have a car, nothing’s stopping you from driving here and photographing the view sans reservations. The only waterpark in Bulgaria, this is a popular spot to come and enjoy a day while on your beach vacation. It has a lazy river, water slides, and tons of options to photograph yourself with that inflatable unicorn you know you brought with you. To visit, book early. Since it’s one of a kind in the country, it tends to sell out early. There are a couple of piers along the water that gives you the opportunity for a great catwalk-like Black Sea photo. While they don’t have addresses, you can easily find them using the Satellite view on Google Maps (one is located at the GPS coordinates 42.693739, 27.716153). Sunny Beach has tons of great options for aquatic sports, from parasailing to kayaking to water sliding off the back of a cruise ship. Whatever you choose, remember that it’s the experience that’s the most important thing, and the photos are just a bonus. To get that perfect action Instagram photo, just make sure you trust your photographer. Shooting on burst mode helps if it’s a friend or family member. Otherwise, a lot of companies will let you buy the action photos from them. While pricey, you do tend to get better shots. You came to Sunny Beach to relax! So relax and enjoy your time here. You’ll end up getting a ton of great photos just from spending time with your friends, family, or whoever else you traveled here with. All that beach time is what really counts here! I don’t think the beach resorts in Sunny Beach are necessarily beautiful, but they do have the impressive resort vibe that will forever remind you of your time here. Grab a couple of cool photos of your hotel. If you don’t know where to stay, check out our beach resort guide. Nessebar is a UNESCO World Heritage Site. Between its historic architecture and its beautiful natural setting, you really won’t be at a loss to find great Nessebar Instagram spots, but here are our favorites. Spend some time wandering through the historic part of the city, and you’ll find absolutely lovely 18th-century houses. To avoid the crowds, come early to photograph them in the morning (you’ll get better light anyway). This Byzantine-era church is preserved in beautiful ruins. 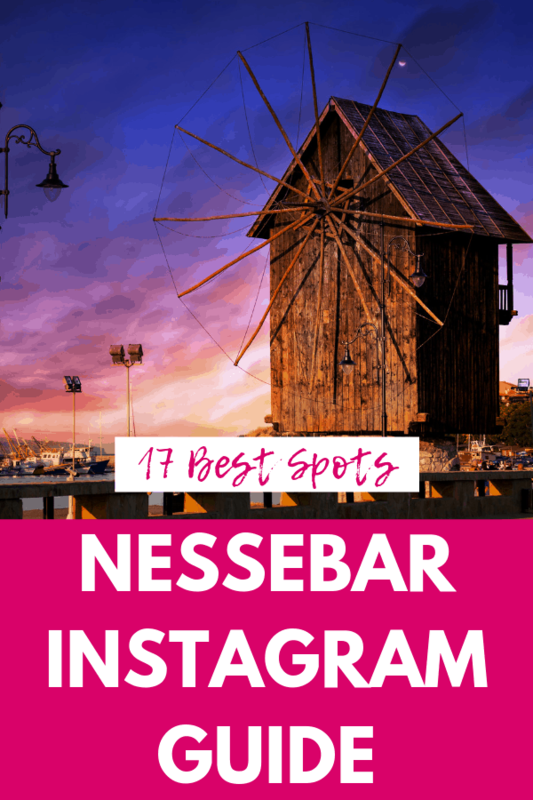 It’s a must-see for anyone coming to Nessebar, but you can also get some cool Nessebar Instagram inspiration if you can avoid coming here when it’s crawling with tourists. The picturesque beach with a pier is a great place to enjoy the natural side of Nessebar, as opposed to its important history. Bring your swimsuit and enjoy an afternoon here (after you get your Instagram shots, obviously). Nessebar looks absolutely amazing from above. If you have a drone, don’t leave it at home! 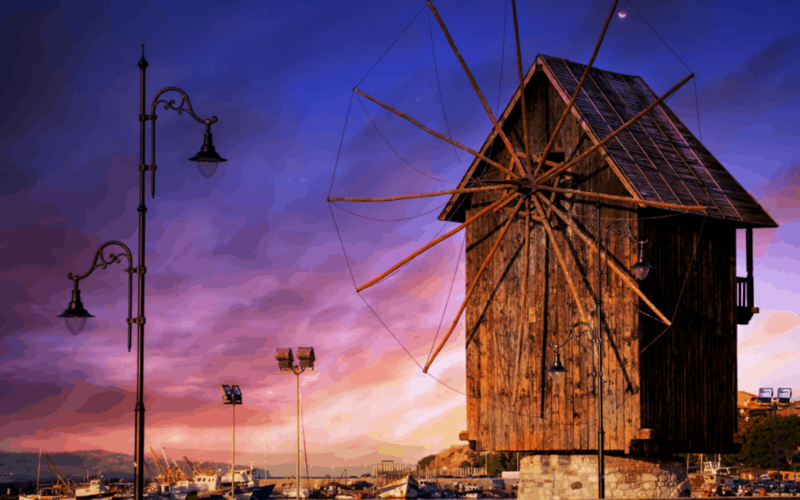 Located about halfway down the causeway from the new city to the old city, the Old Windmill is shrouded in mystery but a great Nessebar photography spot nonetheless. Um…pictures of boats…need I say more? While personally, I think some of the rocks shots are overdone (and done poorly) if you can get a fresh or glamorous take crawling or walk on the rocks along the shoreline, then more power to you. If you have a car or want to hire a taxi, you can find a few more Instagram-worthy places an hour or so outside of Sunny Beach. You have to get the timing right (and having a matching dress doesn’t hurt), but a photograph in a lavender field is really as beautiful as Bulgaria gets. Which is to say, absolutely effing stunning. You need to come before its harvested around the end of June, so plan to come early June for the best shots. This particular field is in Shipka, but there are great sunflower fields in the Sunny Beach / Nessebar / Burgas area of Bulgaria. You really need to go in early July (they all harvested by mid-August). If this will be your first time in Bulgaria, we have some resources to help make your first trip here a breeze. Check out our guide on how to plan your trip to Bulgaria, which goes over everything from visas to ground transportation to budgeting your trip. For picking out the best beaches and resorts, read our Bulgarian Beaches and Bulgarian Resorts guides. Next, check out our guide to avoiding taxi scams in Sofia. We don’t have taxi guides yet for Varna and Burgas, but the information about common scams and how to avoid them is the same. Unless you’ll be picking up a rental car at the airport (which is what we typically do for the coast) you’ll likely get into a Bulgarian taxi at some point during your beach vacation. You will also want to check out our overview of Balkan Currency, which describes Bulgarian leva and what to tip in Bulgaria. No beach trip preparation is complete until you have a valid travel insurance policy. Bulgaria is a safe place to travel, but beach trips involve being out in nature. That means unexpected things can happen (like your prescription sunglasses getting swallowed up by the Black Sea…not that I would know…). You want to be able to get your stuff replaced if it’s lost or stolen, or if you get injured you while you’re enjoying hiking, swimming, climbing, partying, or whatever else you plan to do here. For travel insurance, I use World Nomads. I’ve been a happy customer of theirs for almost three years, and I’ve never had an issue when making a claim. I’m happy to refer them to anyone I meet. Get a travel insurance quote for your trip here. Welcome to Sofia Adventures! 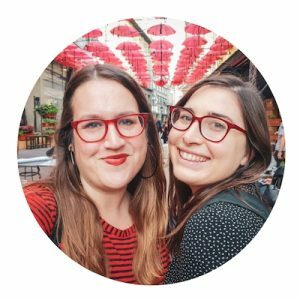 We're Stephanie and Allison, two American travel bloggers who moved to Bulgaria. We use Sofia as our base to discover our favorite region in the world - the Balkans! We're here to share our knowledge from our past 3+ years of traveling the Balkans and inspire you to plan a trip to this beautiful part of the world. Where to Stay in Lake Bled: Hotels & Accommodations You’ll Love!